Carousel is the kind of pop song that captures that optimistic-but-totally-lost-in-love feeling of meeting someone and discovering just how into them you are. That dizzy and magical realisation that the person who brings you so much joy somehow also happens to get a similar level of joy from being with you. 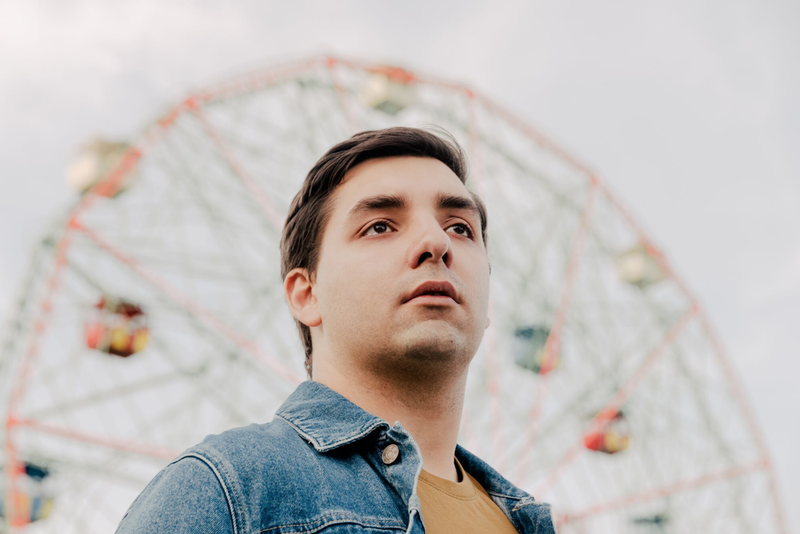 Infused with disco sounds - a little chic, a little Daft Punk - what makes Skylar Spence’s track great is the contrast between the music, upbeat and sunny, and the vocal, which sounds unmoored and overwhelmed. And that feels so right, because the form of love Carousel describes is disconcerting and a little terrifying… It represents an extreme form of vulnerability, as you effectively outsource a chunk of your emotional happiness to someone else. This is Skylar’s first release since his breakout album Prom King, and was written following a trip to Disney World with his girlfriend. With a chorus that is deliberately cyclical, the track is a reference to the experience of a carousel.